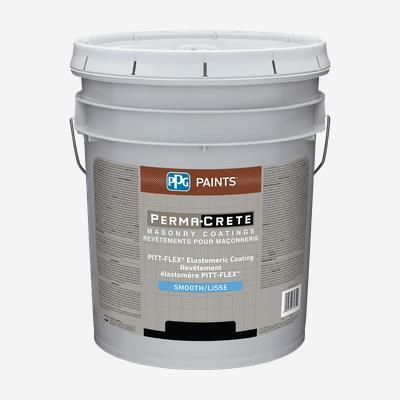 PERMA-CRETE® PITT-FLEX® Interior/Exterior Elastomeric Coating is specifically designed for above grade, masonry substrates that require the ultimate match of flexibility and durability. The new and improved formula offers exceptional dirt resistance, alkali resistance for application to fresh concrete at 7 days and a pH >13 and application down to 35°F. The 100% acrylic high build formula bridges cracks and masks surface imperfections. It protects against wind driven rain and is ideal for use on a variety of exterior masonry projects including high-rise apartments and condominiums warehouses, hospitals, schools, hotels and commercial and residential structures.